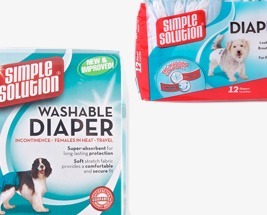 Our range of Dog Nappies include washable diapers and wraps and disposable Nappies. 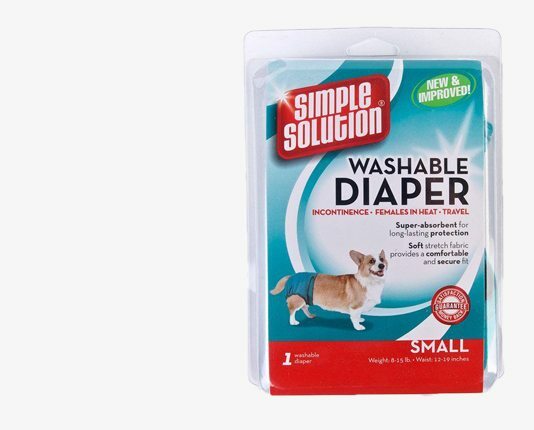 Our washable Dog Diapers and Male Wraps are a cost effective way of managing incontinence in dogs. Made from a super soft material the adhesive tabs do not stick to pets fur and they can be machine washed. 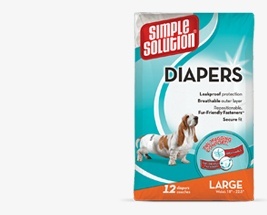 The Disposable Dog Nappies are highly absorbent and suited to those looking for a convenient solution. They are easily disposed of and are available in a range of sizes depending on the breed.